SportPesa, the growing global technology and entertainment company, has today been announced as the new title partner for Racing Point, with the team now known as SportPesa Racing Point F1 Team. The announcement, alongside a reveal of the team’s new car livery, was made during their pre-season launch event, held during the Canadian International Auto Show; the first ever Formula One team launch in Canada. 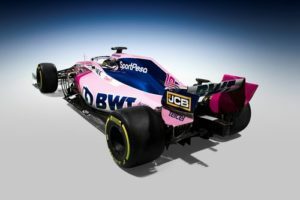 Present at the reveal were the two team drivers, Sergio Perez and Lance Stroll, along with the Team Principal, Otmar Szafnauer, and Technical Director, Andrew Green. The multi-year deal will commence with immediate effect, with the team referred to as SportPesa Racing Point F1 Team for the duration of the partnership. 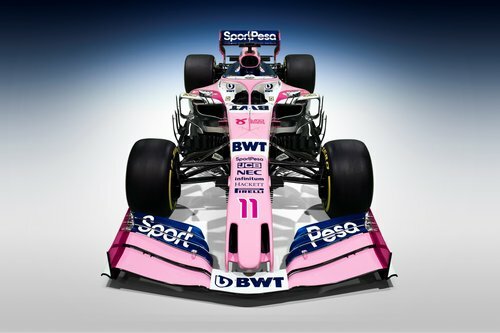 The Racing Point cars retain their pink colour, with BWT continuing as principal sponsor of the team, with the addition of blue SportPesa branding on the front and rear wings, and engine cover.